Heat meatballs in microwave as directed on package. In 10-inch nonstick skillet, mix contents of meal starter, the bell pepper and water. Cover; cook over medium-high heat 8 to 10 minutes, stirring frequently, until vegetables are crisp-tender. 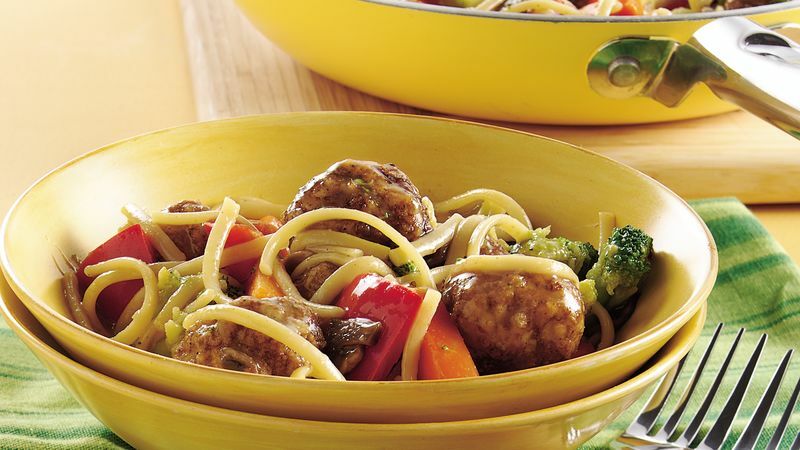 Stir in hot meatballs. Keep frozen meatballs stocked in your freezer. In addition to this quick meal they can be added to purchased spaghetti sauce or canned soups.